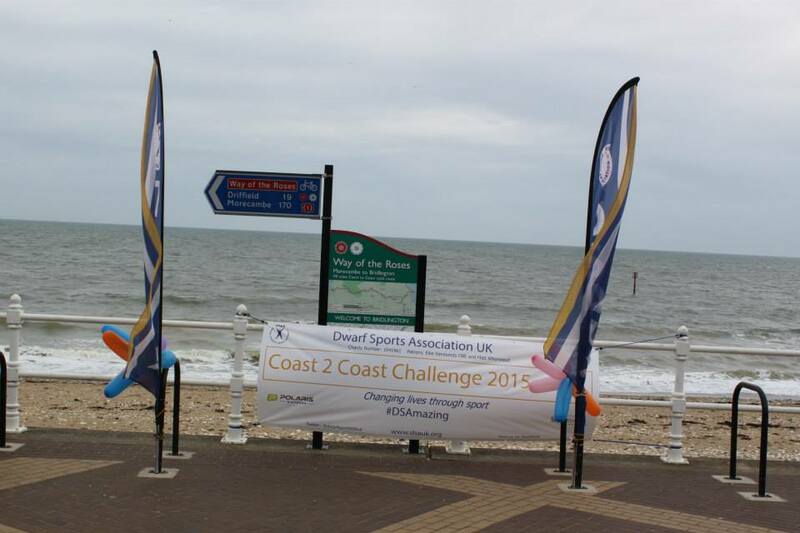 What a fantastic three days of super human effort the DSAuk's Coast 2 Coast challenge turned out to be. 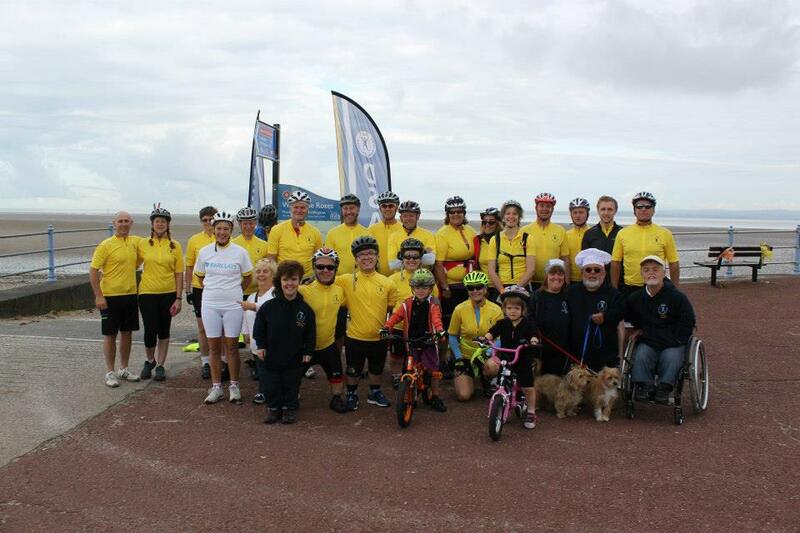 On Friday 24th July 23 riders gathered in Morecambe to start the 170 mile marathon travelling west to east across the country. 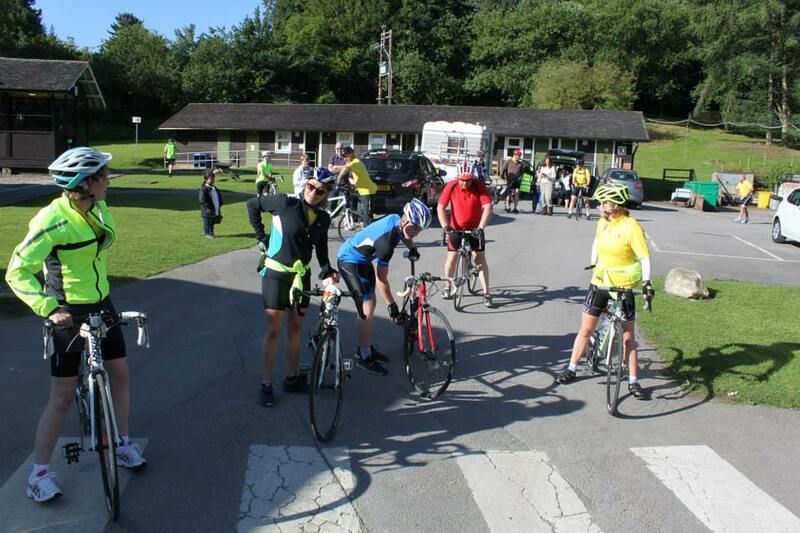 It was an early morning start as the team had a tough 60 mile ride over the high peaks of the lower Lake District. 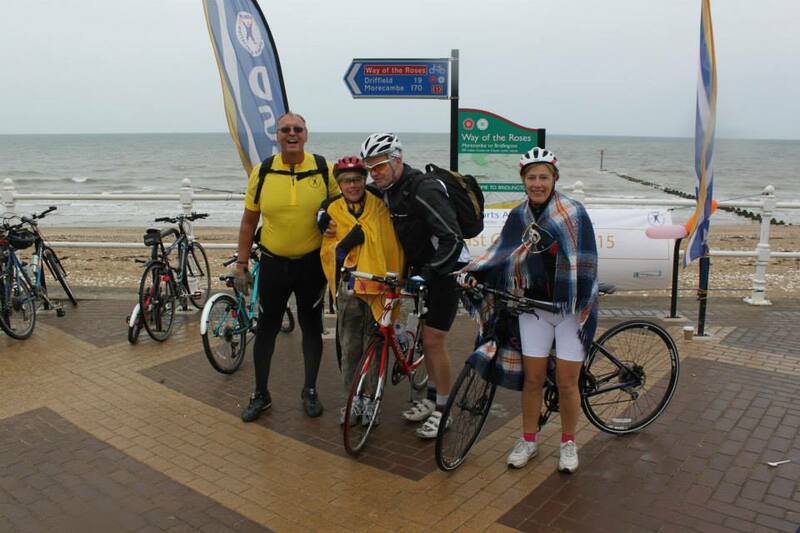 Each rider dipped their tyres in the sea on the beech before setting off from Morecambe. 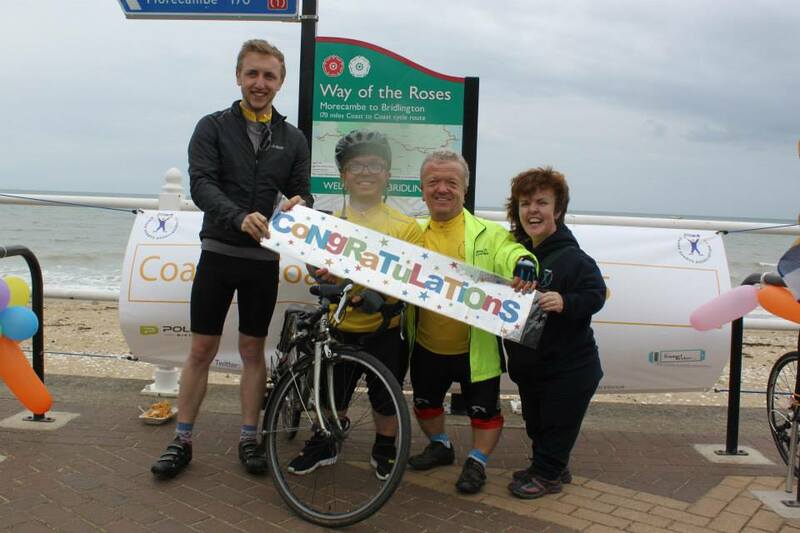 BBC radio had featured the event and a crowd of local people arrived to see the team off on their cycling marathon. 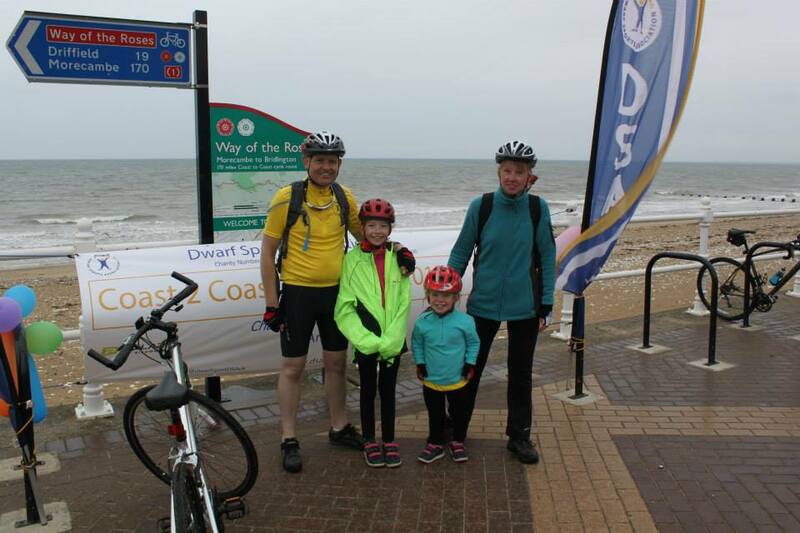 The team was joined by Amara Atkinson who is a member of the DSA and just 8 years old she cycled along with the team all the way to the Crook'o'lune which was almost a 10 mile ride which was a fabulous achievement. 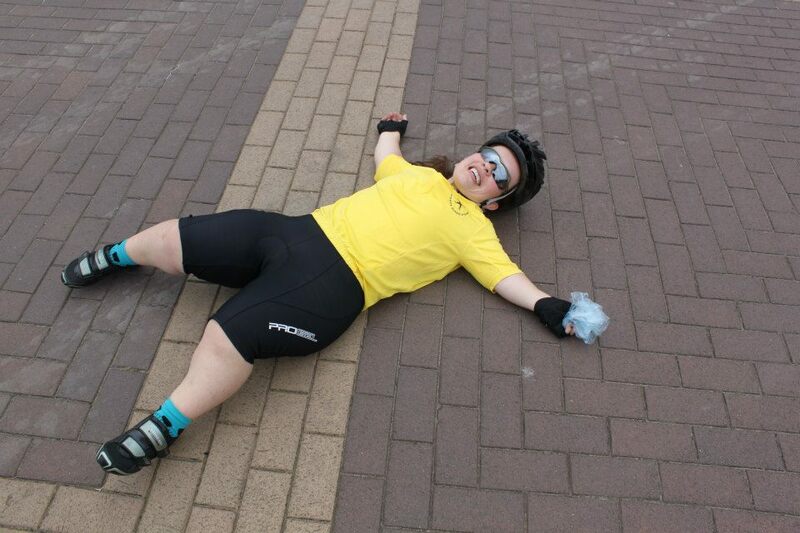 Over the first few miles one or two of the team had punctures and Kim Dean was unlucky enough to have two in the first mile, but after a repair and a new inner tube she was on her way again. The Way of the Roses course winds its way along single track country roads up through the hills of the Yorkshire Dales at 15 miles in the course starts to rise from Hornby all the way up to settle a climb of 225 metres above sea level with little respite along the way, the riders met a support vehicle at Clapham for water and snacks before climbing again to lunch at Settle some 300 metres above sea level. At settle they were met by "Hilda" (a camper van) manned by DSA member Pete and Donner who fed and watered the riders ready for the next leg, which again you guessed it, involved a climb out of Settle up to Cracoe and then over Stump Cross (the highest point of the course). This climb is particularly tough rising to nearly 400 metres (1250 feet) above sea level and was a real test of the whole team, but every single one of the team made it to the top of Stump Cross and was rewarded by an 18 degree descent down in to Pateley Bridge. This was the stop over for Friday night at the Bewerley Activity Centre, The local Fish and Chip shop provided an evening meal for the whole team and once showered and fed the team turned in for an early night. Day two dawned warm and sunny and after a hearty breakfast supplied by the activity centre and joined by some people who were joining the team for the day we set off on day two of the C2C challenge. Day two was 62 miles all the way across to Pocklington. The team made its way up out of Pateley Bridge up again to Watergate before the course levels out and the whole team started to accelerate as the course became much flatter and the first riders were soon in Ripon for the first stop. The whole team were in good spirit and passed through Ripon in good time on their way to Aldborough were they met up with "Hilda" for lunch. The sun was shining and after the tough hill climbs of the previous day the flatter course was very enjoyable for the whole team. Dwarf Members Steve, Kim, Callum and Paul were all making great time and riding strongly through the second days lunch stop. 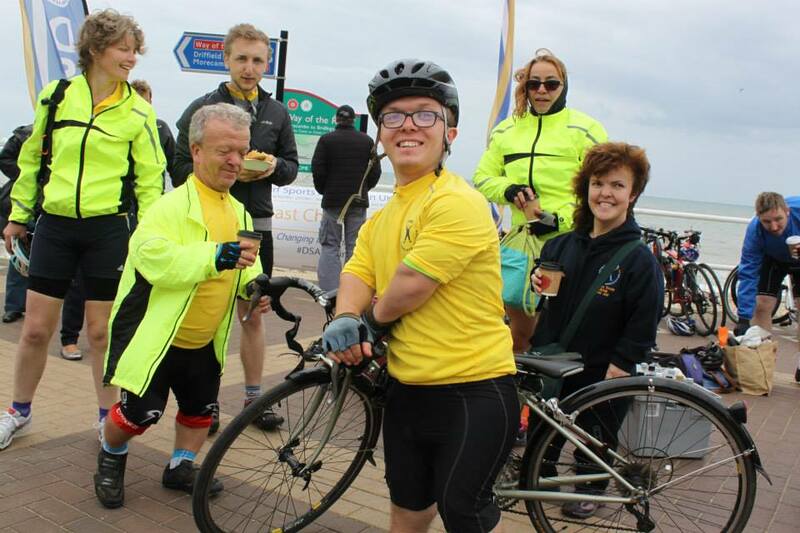 The riders peddled through York and on to The Cross Keys at Dunnington for the last stop of the day as they sped on to Pocklington to the Roebeanne House B&B, where they were met by a fabulous 4 star meal and comfy beds of the Saturday night. The whole team enjoyed their hospitality during a great evening of good food and good company. .It was an early start on Sunday morning with the whole team ready to leave the B&B at 8am prompt. 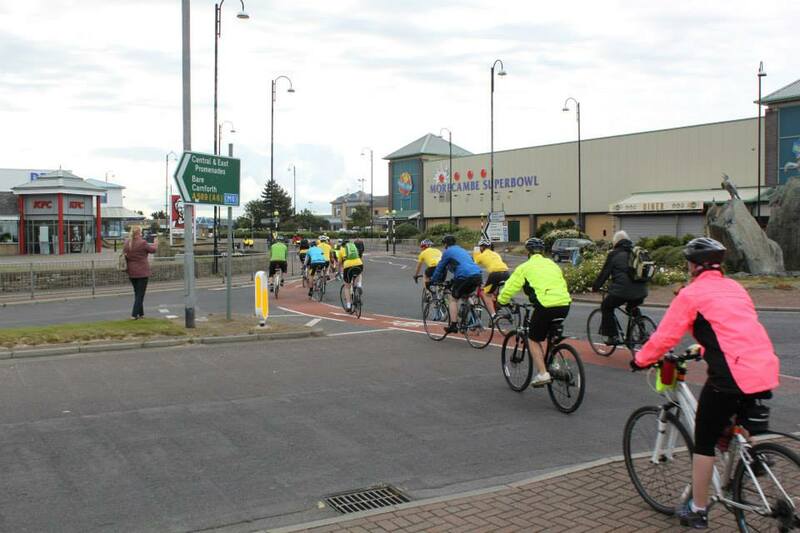 The whole team rode in to Pocklington together in convoy before making its way back on to the Way of the Roses. 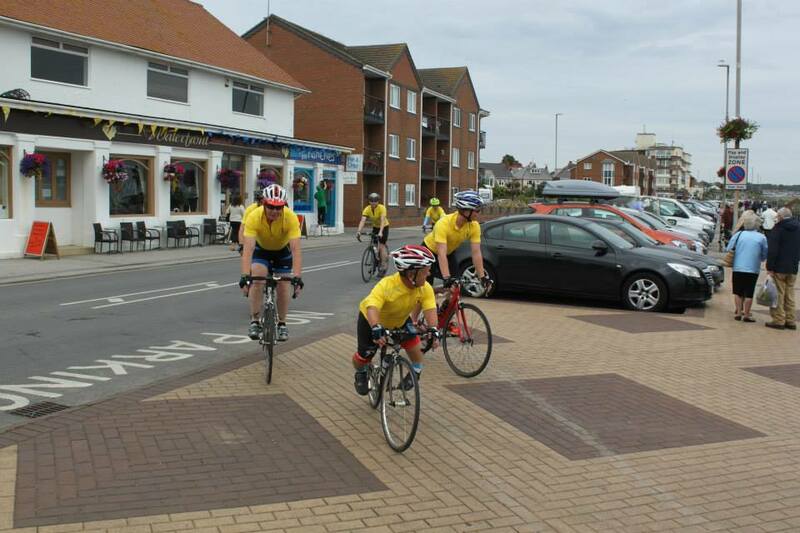 The route for the last day was relatively flat but still 50 miles long so everybody had to get their heads down and get up to speed to get all the way to Bridlington in the day. The first stop was at Hutton Cranswick with everybody making it through without any problems the team made their way along the course through beautiful Yorkshire farm land with the sun shining on them as they rode into Burton Agnes Hall for the very final stop on the Coast 2 Coast Challenge. 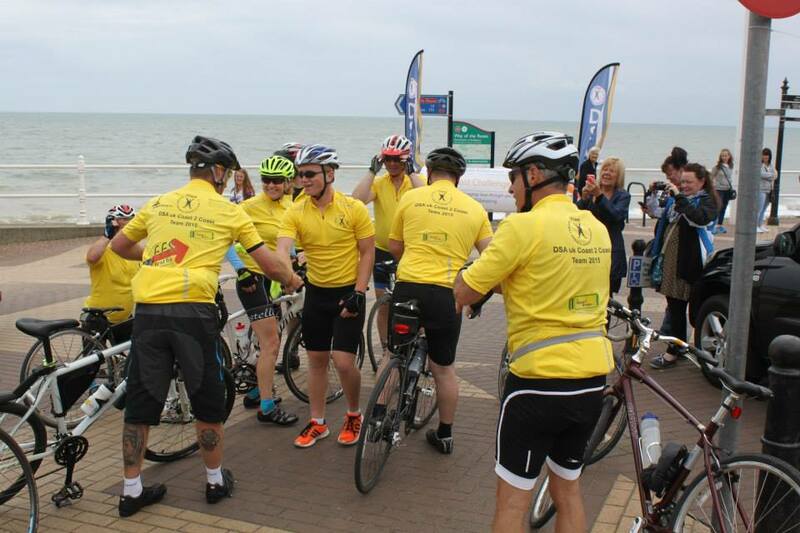 The team waited for a while for everyone to catch up with each other and then joined by a few DSA members they rode down in Bridlington to finish their Challenge on the North Sands ride down onto the beach and dip their tyres in the sea on the East coast. 170 miles over three days climbing to 1250 feet above sea level and then back down to sea level again a super human achievement. The team waited for all the riders to finish before making their way home, as the final riders rode in at 4pm there was a rain shower but this couldn't dampen the spirit of the riders and the support team who were all euphoric as they finished the Coast 2 Coast Cycling marathon that was the DSAuk's C2C Challenge. 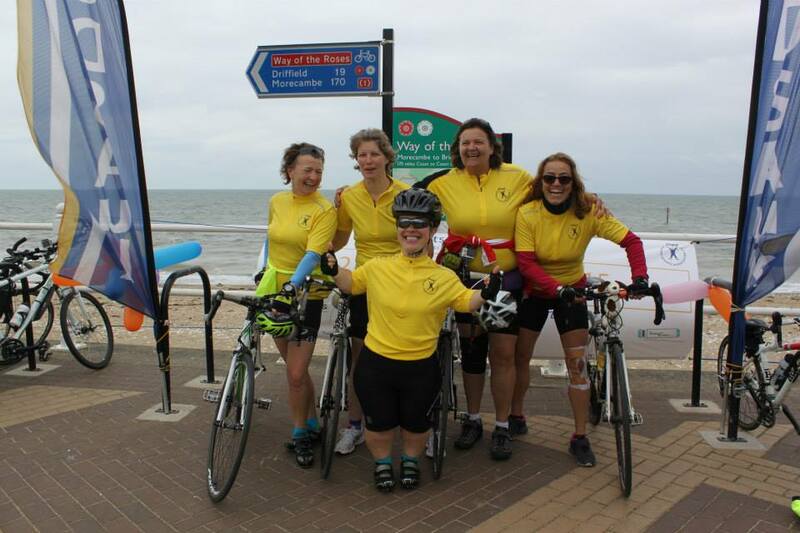 Thanks to all the riders that took part and all the volunteers who supported them throughout the weekend. 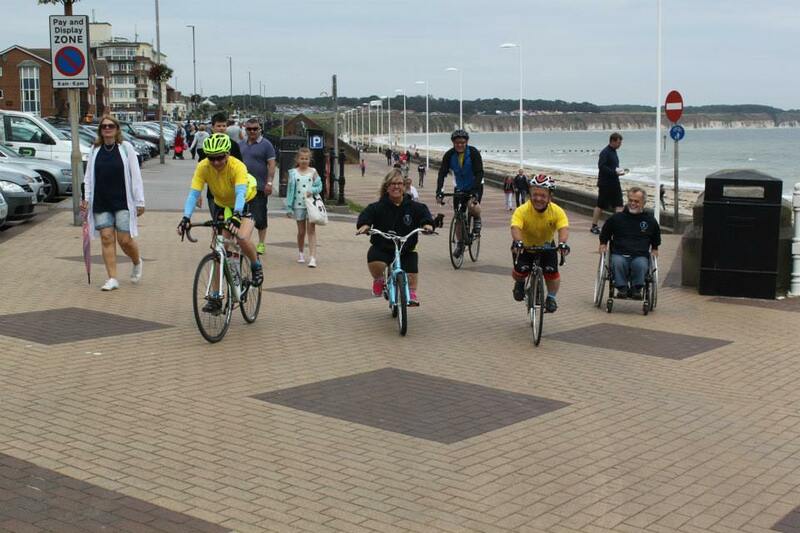 Thank you to everyone who has made a donation to the DSA or sponsored one of the riders. Anyone for London to Paris ????? ?